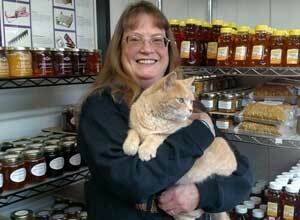 Store Manager and Bookkeeper for Bees in the ‘Burbs, also neighbor to the Holcomb family for over 20 years. Known by the Holcomb girls as their adopted Auntie. Graduate of Washington State University and a Cougar fan thru and thru (even though her 3 brothers are Huskies)! 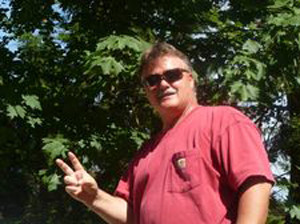 Worked in the Corporate world for over 20 years and decided to take a break from the fast pace and stress of Corporate USA. 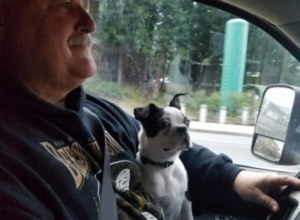 Norm asked for some bookkeeping help one day and the rest is history. You will find her most days working at the store helping customers or crunching numbers with Sparta, the cat, sleeping on her paperwork or pawing at her head for attention. You’ll most likely find Kaylie managing a booth at a Farmers Market or festival. A graduate of Western Washington University, Kaylie studied Theater and Sociology and now has no idea what she wants to do with her life. But until she figures it out, Kaylie could not be happier working at her family’s shop. 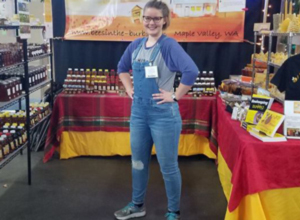 Kaylie’s favorite parts of her job include meeting new and interesting people at farmers markets, working in the apiaries with the bees, and getting to sample the new honeys when they arrive. A fan of flowers and novelty coffee mugs, Kaylie can often be spotted perusing local thrift shops and hunting down the best coffee shops. 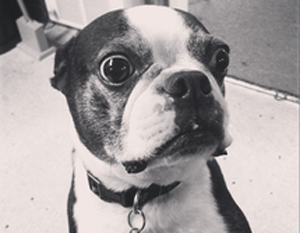 A Boston Terrier full of hugs and kisses, Harley enjoys prancing around the apiaries and playing tag with the bees. His favorite pastime is greeting customers by running up and not letting anyone pass the front door till he has been sufficiently petted. You’ll often find him lying in the sun, eating the cat food, and giving you apologetic puppy eyes after getting into trouble. Sparta the cat was an accidental yet much loved addition to the family. He was born in the winter of 2014 in the warehouse next to the shop. 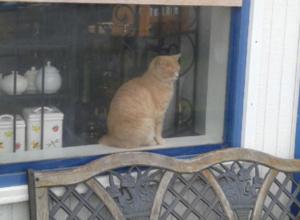 For the first few years of his life, Sparta was very shy, reluctant to let anyone come close. Everyone in the lot would feed Sparta and try to make friends, but alas he was an independent soul. But one stormy night as we were closing up shop, little Sparta came running into the store and laid next to the heater, waiting for a treat. Fast-forward a few years and now we can’t get Sparta to stop sitting on our laps. One of the sweatiest kitties we’ve ever meet, Sparta loves to chat while you scratch right behind the ears.